A brace from Zelfy Nazary proved to be the difference as Balcatta beat traditional rivals Perth SC 4-3 at Grindleford Reserve on Saturday. The win ensured Balcatta claimed the Grand View Homes Cup and climb into seventh place on the ladder, while Perth slipped to third. 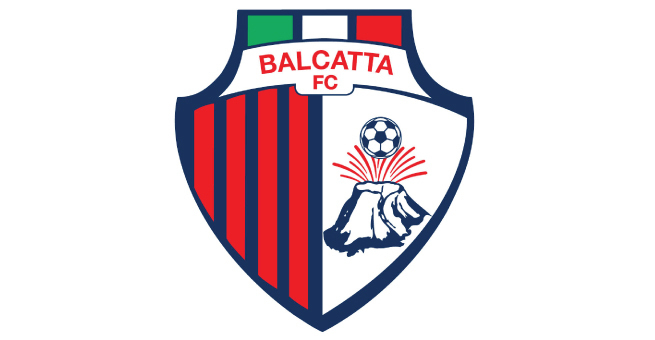 Balcatta coach Marc Anthony was very pleased with the result against what he deemed to be a tough outfit. “To beat Perth at home is a big result for us, in all fairness they are the best team we’ve played this year,” he said. “Fair play to our lads; we had a game plan and we stuck to that plan and we looked very dangerous at times and it’s very pleasing to score goals. Perth was the first team off the mark when Matthew Milenkovic headed home a beautifully whipped corner from Dean Evans in the 14th minute. Balcatta levelled the scored 13 minutes later when Nazary scored off a post after his teammate Gomo Dukully had his shot parried by Perth keeper Francis Soale. Connor Kavanagh ensured that Balcatta went into half time with the lead when he scored outside the box from a smart cutback in the 44th minute. After the break, Perth coach Gareth Naven decided to bring on forward Gustavo Catarcione for Thomas Jebb. The substitution paid dividends a mere five minutes later when Catarcione found space inside the box and scored in the 49th minute making it 2-2. Balcatta were given the chance to take the lead yet again when Dukully was fouled inside the box. A touch from Soale was not enough to prevent Nazary from claiming his second goal as Balcatta took the lead again. Dukully put his side two up after he found himself one-on-one with Soale and scored coolly in the 64th minute. Catarcione scored his second when he chested a far-post cross from teammate Jordan De Leo and tapped the ball into the net in the 69th minute. This goal would ensure a nervous end to the game for Balcatta but Perth failed to find the equaliser after dominating the final period of the game. Naven said that he was disappointed in his side’s performance which resulted in their first loss of the season but insists his defence was not entirely to blame. “Our playing group has to realise that it’s 100 percent or nothing, we were 60-70 percent at times and our reaction in regards to reading the play needs to improve,” he said. “We can’t blame everything on our defence because everything started from their back third to our middle third.